Peking China. Palast des Kaisers The Emperiall palace. A. The Emperiall palace where the presents were received. B. One of the Emperoxurs Commanders sitting with the Hollanders and showing them the particulars of the presents. C. A table where on said presents are orderly distributed. D. In what manner each receiveth his gift or present. 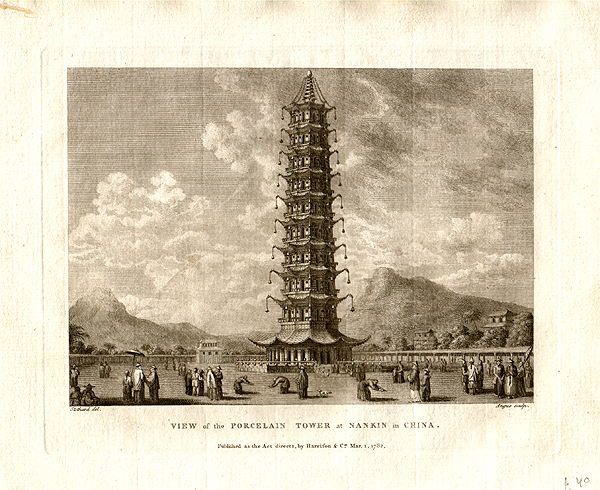 View of the Porcelain Tower at Nankin in China. An antique line engraving by Angus after Stothard. Published by Harrison & Co. March 1st, 1782. 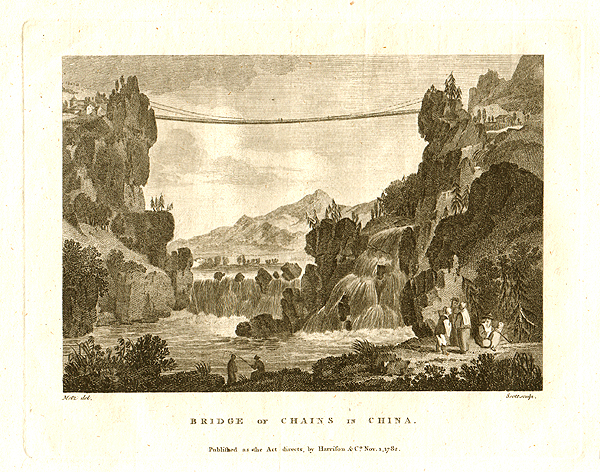 Bridge of Chains in China. An antique line engraving by Scott after Metz. Published by Harrison & Co. November 1st, 1782. The Road of Pillars in China. 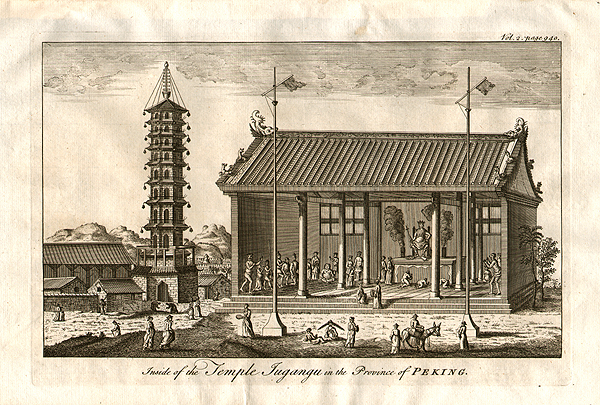 An antique line engraving by Heath after Metz. Published by Harrison & Co. May 1st, 1783. 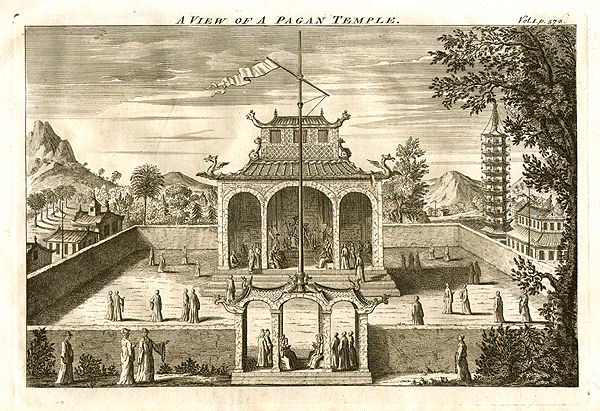 A View of a Pagan Temple. 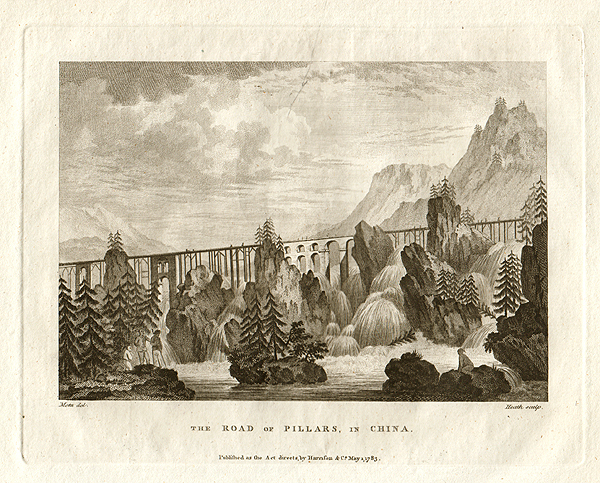 An antique line engraving by J. Sands after T. Allom. Circa 1850 with later hand colouring. This is a protected area in Fujian Province, China. Tunxo in the Province of Peking. Chinese Pilgrimage of a Whole Village to the Temple Jugangu to obtain a fertile Year. More Info An antique line engraving by Emanuel Bowen. Published in John Harris Navigantium atque itinerantium bibliotheca. Or, a complete collection of voyages and travels. Circa 1748. 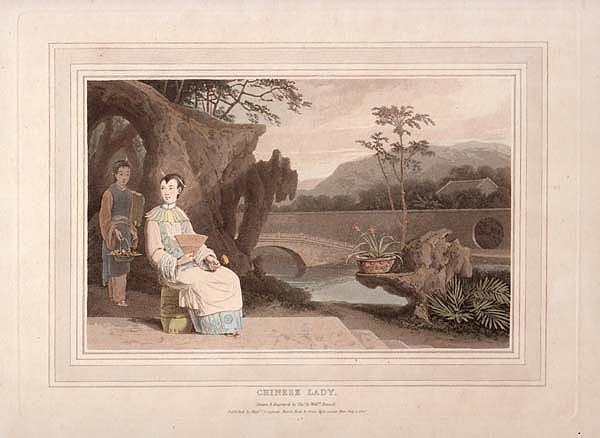 An antique line engraving by Emanuel Bowen. Published in John Harris Navigantium atque itinerantium bibliotheca. Or, a complete collection of voyages and travels. Circa 1748. 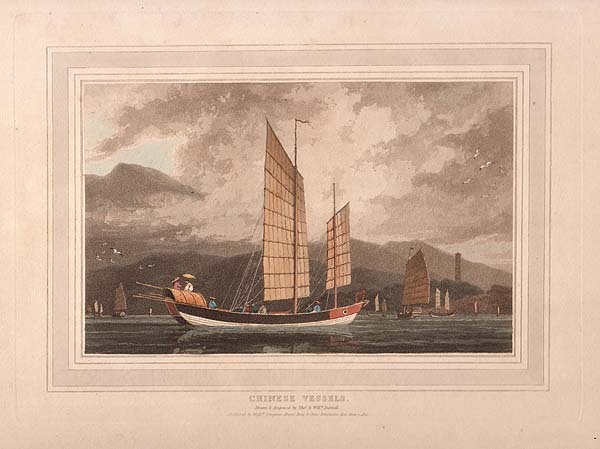 More Info An antique hand coloured aquatint engraving published in ' A Picturesque Voyage to India by the Way of China' by Longman, Hurst, Rees, and Orme, in 1810. It records the journey from England, with scenes taken at Madeira, the Cape of Good Hope, Java, Macao, Canton, the Straits of Malacca, and Calcutta. The work also contains images of Malays and Chinese. 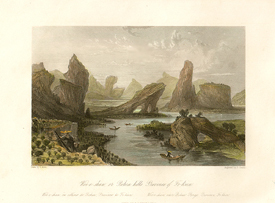 An antique hand coloured aquatint engraving published in ' A Picturesque Voyage to India by the Way of China' by Longman, Hurst, Rees, and Orme, in 1810. It records the journey from England, with scenes taken at Madeira, the Cape of Good Hope, Java, Macao, Canton, the Straits of Malacca, and Calcutta. 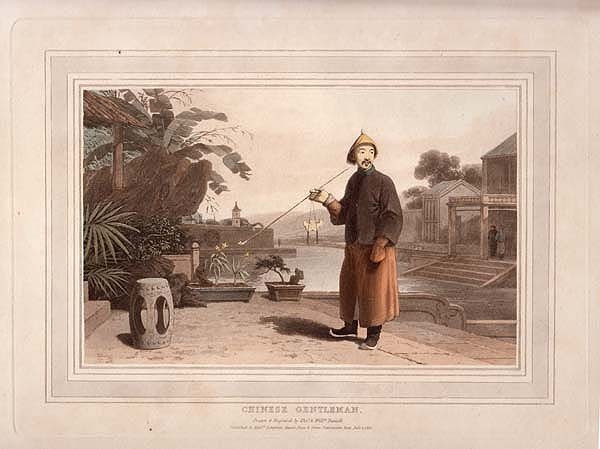 The work also contains images of Malays and Chinese. 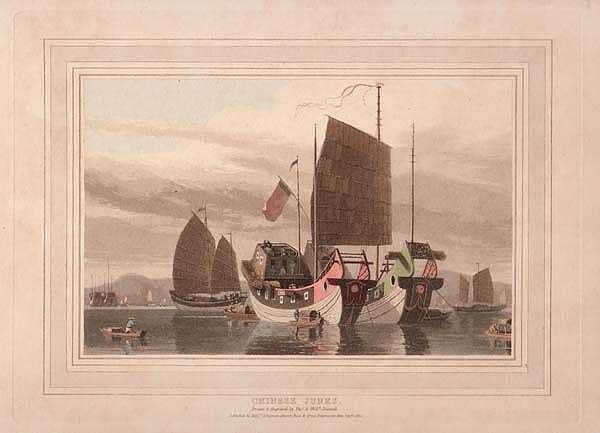 Sketches of Tonquin and Lower Annam, Cochin, China. More Info Antique woodcut engravings which were published in "The Illustrated London News" on September 1st, 1883. 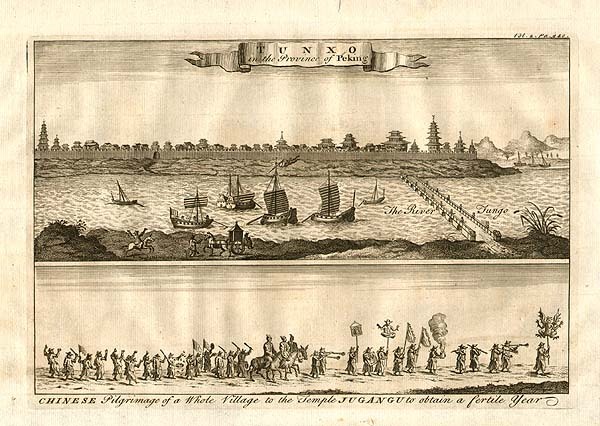 Images include a view of Saigon, the French Settlement, native musicians, native pedlars, rich merchant, native soldier, racing boat, lady and gentleman, a beggar and labourer. Antique woodcut engravings which were published in "The Illustrated London News" on September 1st, 1883. 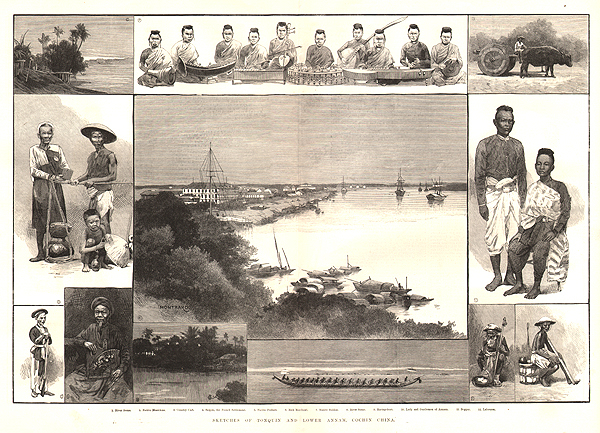 Images include a view of Saigon, the French Settlement, native musicians, native pedlars, rich merchant, native soldier, racing boat, lady and gentleman, a beggar and labourer. 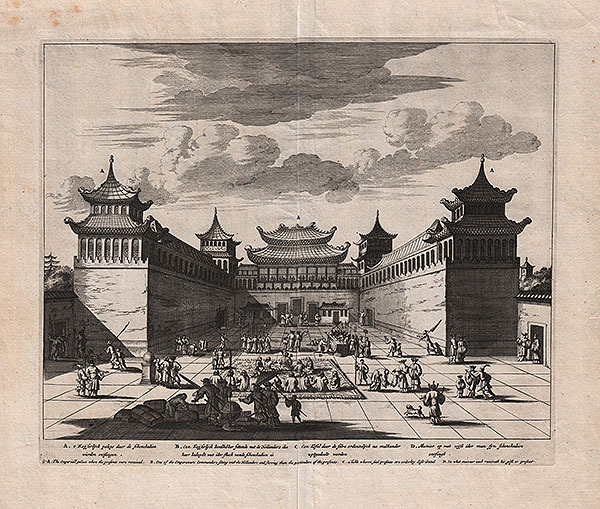 West Gate of Ching Keang Foo. A line engraving by J.M. Starling after T. Allom. Circa 1850. The colouring is later. 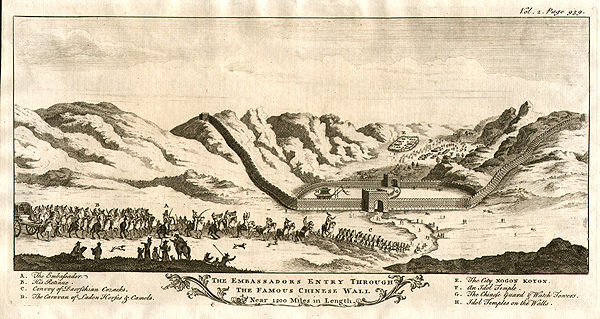 The Eaglet's attack on Chinese Junks at Toong - Chung. Woodcut engravings which appeared in "The Illustrated London News" on May 16th, 1857. 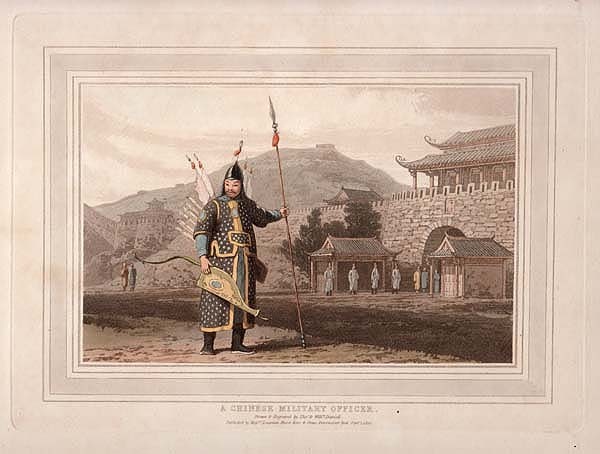 Views include "The Eaglett's attack on Chinese Junks at Toong-Chung" and "Return of The Eaglet to Hong Kong dressed in the Chinese Flag."